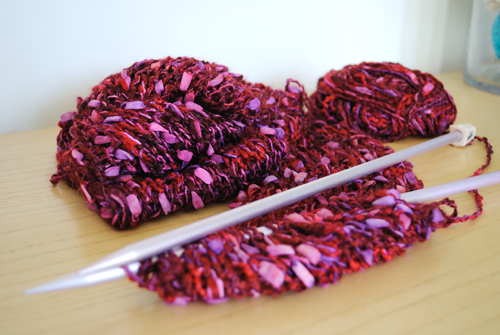 In preparation for the inevitable Chicago cold, I have been click clacking away with my knitting needles making scarves. 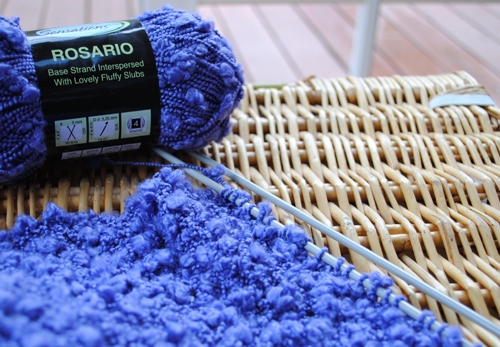 Look at this gorgeous purple yarn complete with knobbly bits knitted using seed stitch. Here are a couple of video to show you how to do the stiches, if you can do knit and purl you CAN make these. 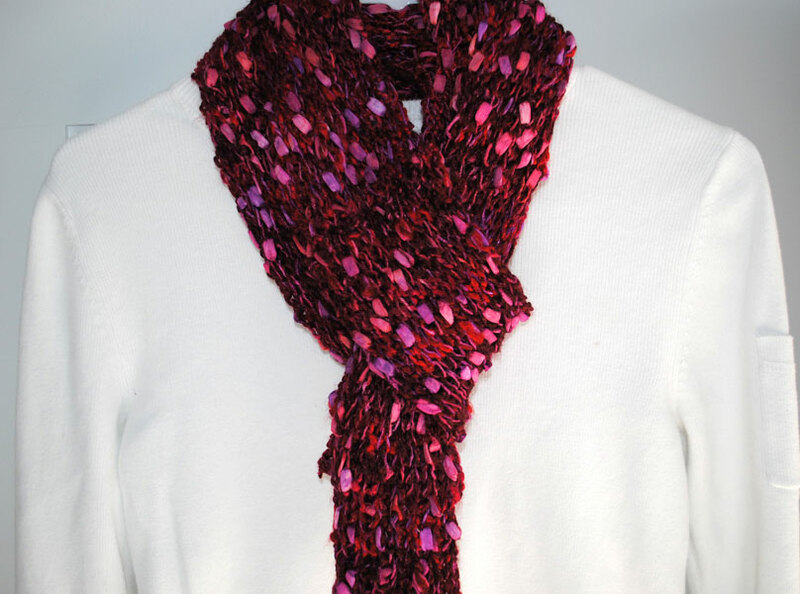 This entry was posted in Craft Projects, Knitting. Bookmark the permalink. Loving the yarns. Both of them and am wondering the brand names and colors. Do you have any links where I could find that out? Thanks. Love the scarves. 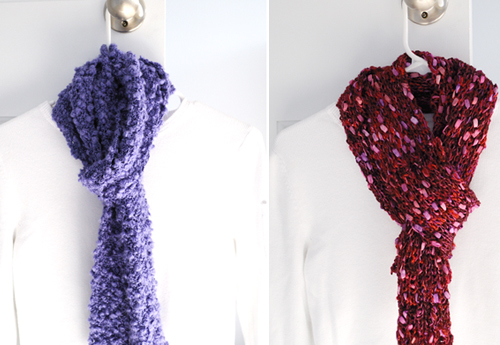 I have these yarns, in red, purple and teal – I loved them so much I bought all three. Now my Joann's is out of stock and I'm online looking for more. It's "Sensations – Rosario Multi." 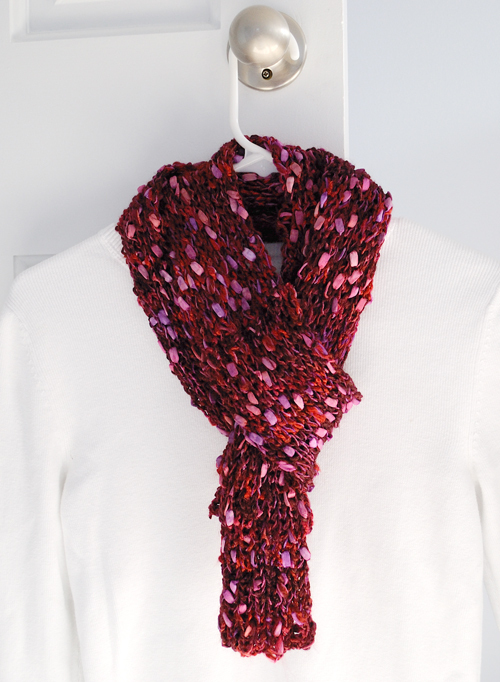 Love the purple scarf! How many stitches did you cast on and how many skeins did you use?